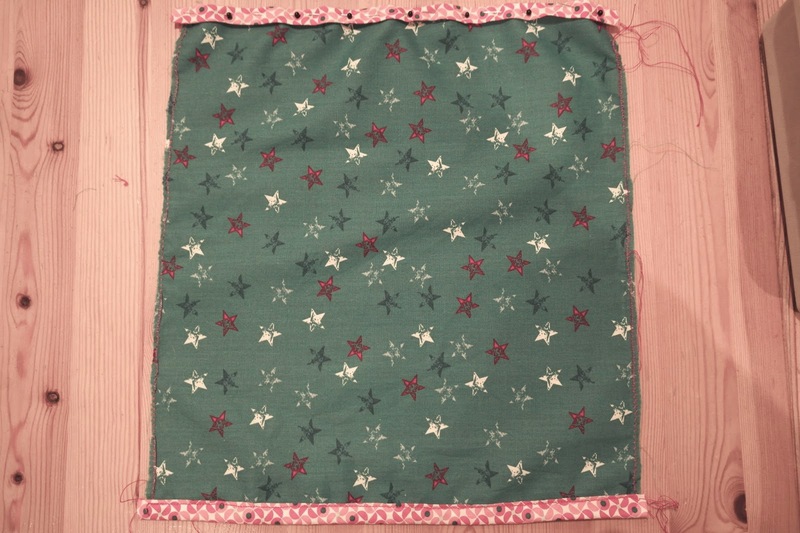 It was a long time ago I sewed something, so yesterday I wanted to sew. 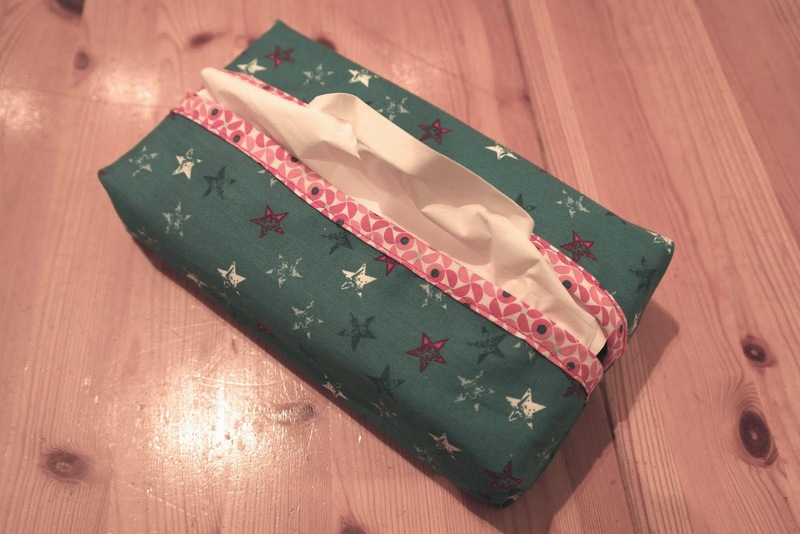 I found this easy pattern for a tissue case in a book. 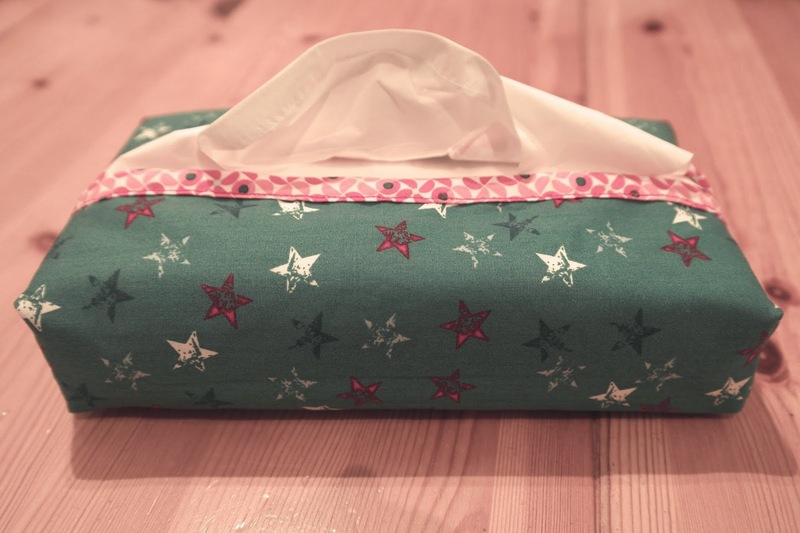 Here fits a tissue box in of standard format. I just took the tissues out of the box. This pattern is just so easy, perfect for a beginner like me and it is a nice present for a friend. 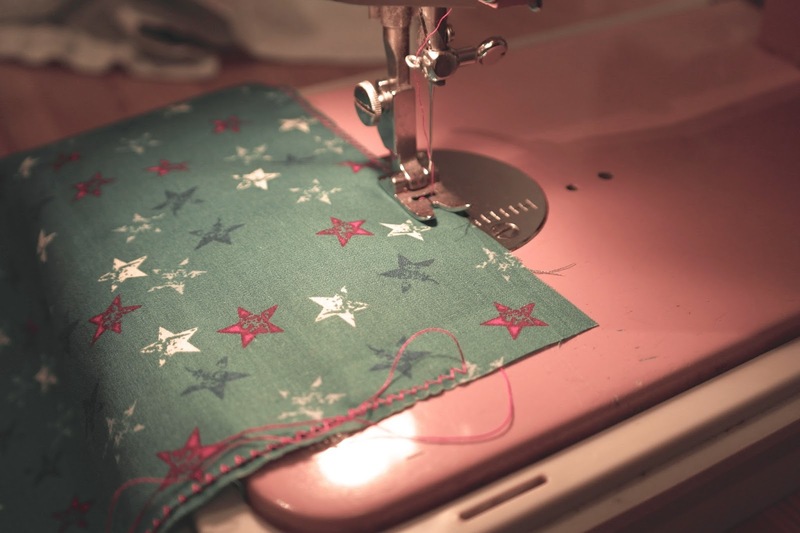 You only need 2 pieces of fabric, some sewing thread and, of course, a sewing machine. Cut out of the fabric a piece of 29 x 32 cm. 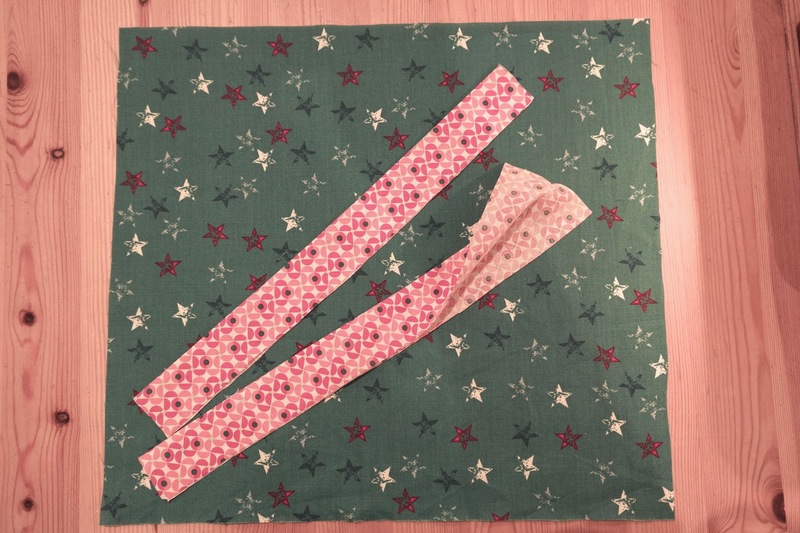 And cut out two pieces of contrasting fabric from 6 x 29 cm. Fold the band pieces in half with the wrong sides on each other. 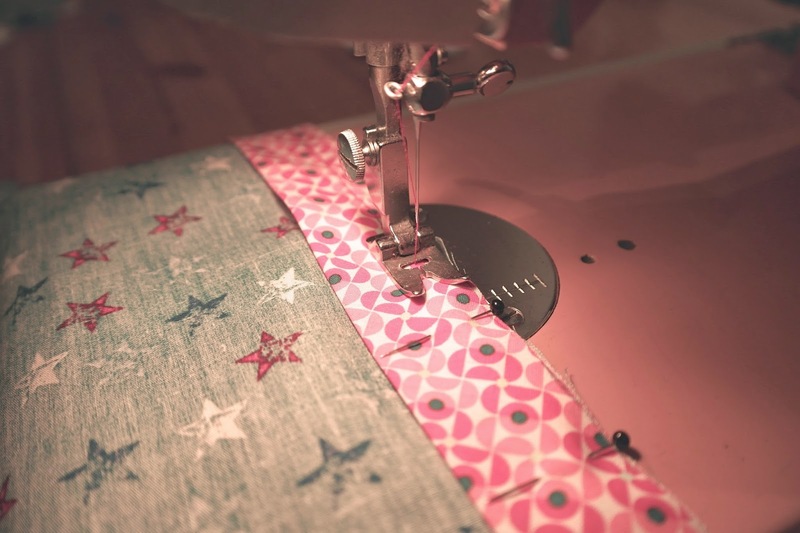 Finish the raw edges with a zigzag stitch. Sew the bands on the wrong and short side of the fabric. Fold the edge over the seam allowance and pin in place. Sew it close to the fold seams. This is what you should have than. Pin the two edges to the middle with the wrong sides on the outside. 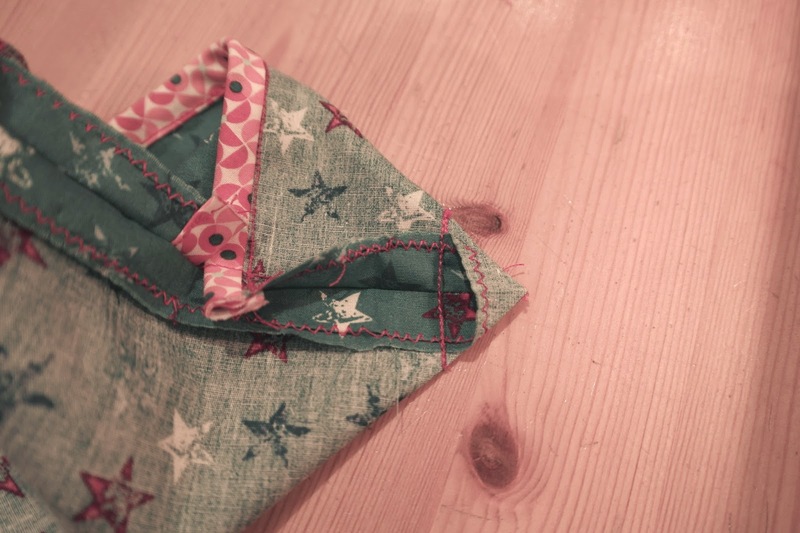 Give the case a little bit of shape by folding it like this that there is a triangle and sew this small piece. Put some tissues in it and it's ready!